Today, Commerce Secretary John Bryson delivered remarks at a luncheon hosted by the U.S. Chamber of Commerce honoring Iraqi Prime Minister Nouri al-Maliki in Washington. In his remarks, Secretary Bryson pointed out a variety of resources available to U.S.businesses already in place to encourage and create ongoing trade and investment in a new area of relations between the two countries. These include the U.S.–Iraq Business and Investment Conference, Commerce-led trade missions to Iraq, the Iraq Task Force and Commerce’s Advocacy Center. 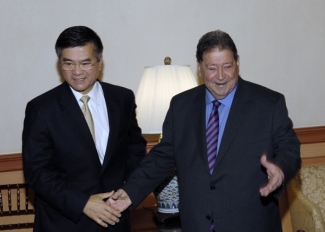 Commerce's Under Secretary for International Trade Francisco Sánchez led a historic business development mission to Baghdad in October, 2010. The trade mission brought together representatives from 14 U.S. companies with key Iraqi public and private sector decision-makers, including nearly 200 match-making meetings, to pursue investment and sales opportunities. The Department of Commerce had key involvement at the Baghdad International Trade Fair. There, the U.S. participated for the first time since 1988, showcasing 85 American businesses and organizations at the U.S. Pavilion–the largest foreign presence at the event. 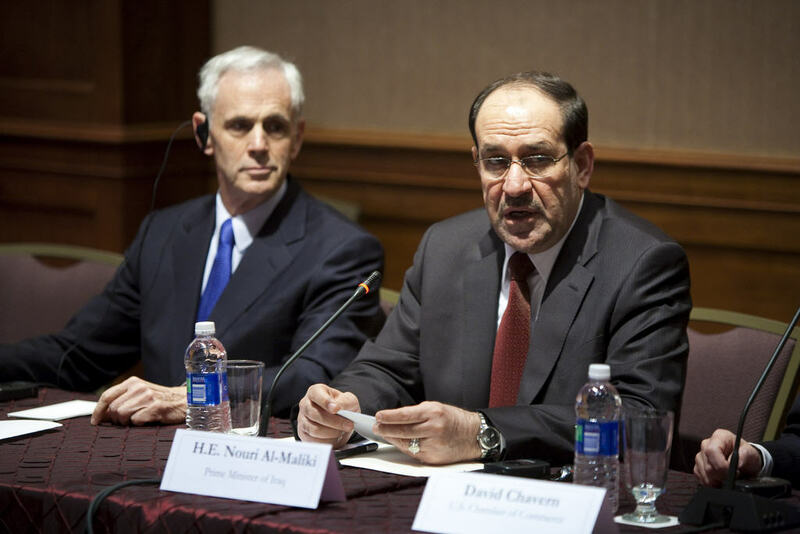 Al-Maliki highlighted the growing commercial ties with the United States and called for the U.S. business community to seize the investment and trade opportunities available in Iraq. Iraq is a promising and important emerging market–one that’s set to grow faster than China–and has needs that encompass everything from infrastructure to small consumer goods. Last year, Prime Minister al-Maliki announced Iraq’s five-year National Development Plan. The plan includes more than 2,700 projects worth about $186 billion and is aimed at diversifying Iraq’s economy away from oil. Meeting those needs can help create jobs here in the U.S.